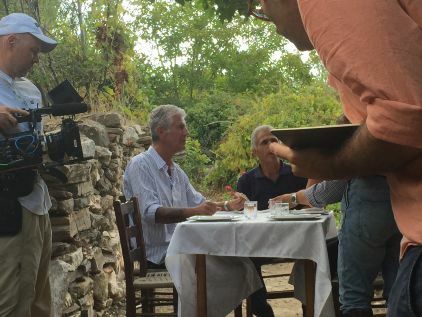 World famous Antony Bourdain goes Greek! Naxian Collection helps Anthony Bourdain showcase the very best of Naxos’ cuisine It’s finally out! 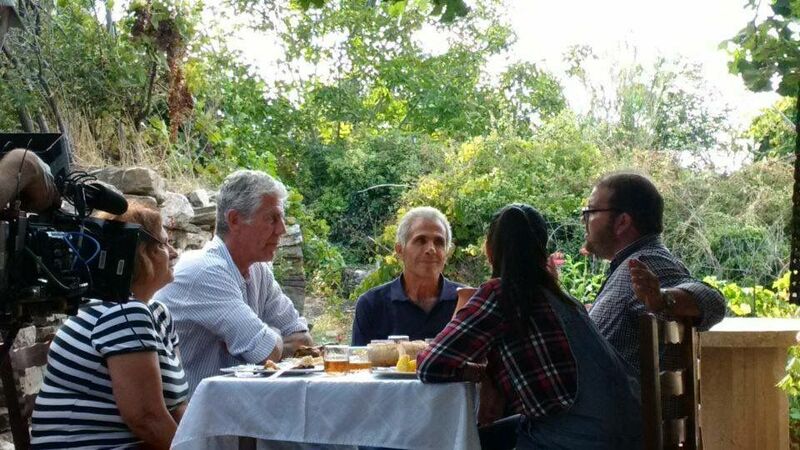 The Naxian Collection is proud to see that Anthony Bourdain’s ‘Parts Unknown’ promo trailer, which features Naxos, has just been released. Bourdain stayed at the Naxian Collection recently and bonded with the chefs there who showed off their best recipes to the world-renowned chef and earned his appraise. He also filmed part of his video on the private estate of the Naxian’s owners, where Mom prepared some of her prized local recipes. Naxos, after all, is known in Greece for its excellent Cycladic cuisine that features wholesome ingredients, local free-range meats, herbs from the hills, and the finest fruits and vegetables from Southern Greece. 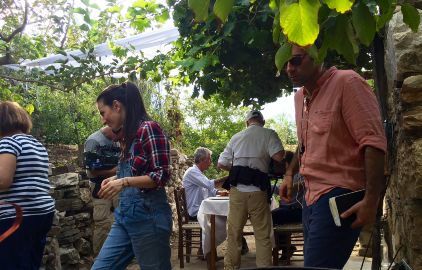 The private family estate, which dates from 1901 and which is open to hotel guests upon request, was a special treat for Bourdain, particularly since it boasts a selection of local organic fruits and vegetables. What makes the estate quite unique is that it uses only original variety seeds that have been growing in the area for decades. Also impressive are the 2,500-year-old olive trees that have been producing outstanding olive oil for millennia, representing an important ingredient for all traditional Naxian recipes. Bourdain saw firsthand what real Naxian food. Watch the trailer where you can see Bourdain dive in the Naxian’s Collection pool (view video here) and whet your appetite for the best of Greece – including Naxos – when the new episodes will be aired on CNN! Anthony Bourdain at Naxian Collection !